Magic made easy! 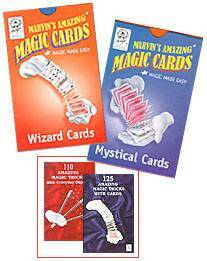 This extraordinary set of magic cards enables you to perform incredible mystifying card tricks! Learn to perform magic that will baffle, bewilder, and amaze! Recommended for magicians ages 6 to adult.